Attention Amiibo collectors and Pokemaniacs! 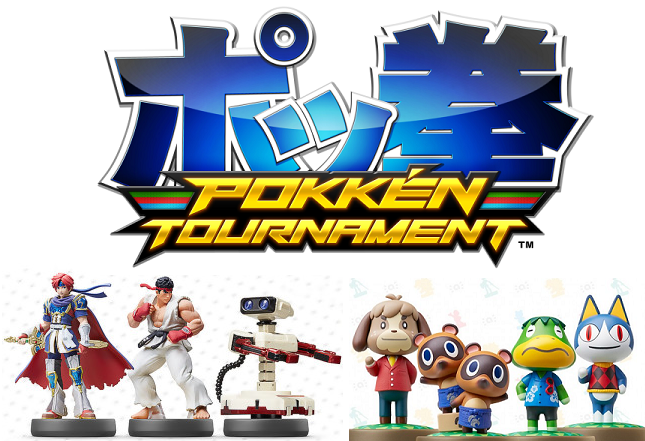 Nintendo is bringing the goods Friday, March 18th, with the release of Pokken Tournament on Wii U, Mario & Sonic at the Rio Olympic Games on 3DS, as well as Amiibos for Roy (Fire Emblem), ROB (Famicom Colours), Ryu, Rover, Timmy & Tommy, Digby, and Kapp’n! As if that weren’t enough, the third series of Animal Crossing Amiibo cards are also released! Have a very Nintendo weekend!